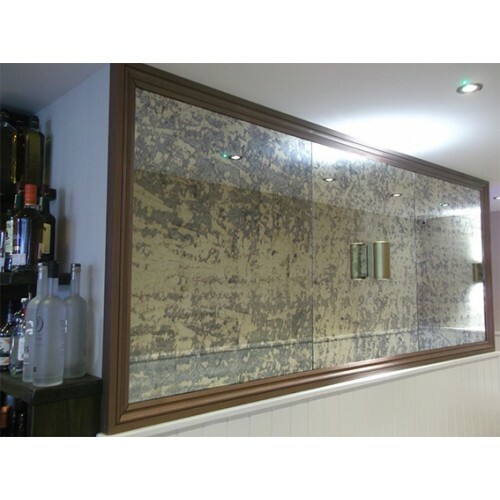 Antique mirror glass is reproduced to have a distressed, mottled, old appearance. It is perfect for inserting in wardrobe doors or creating a feature wall with tile effect covering. However, you choose to use it we can cut it to the shape and size you require.